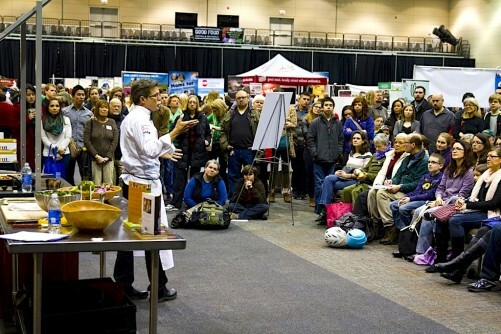 FamilyFarmed is proud to share the third installment of our monthly Good Food Insights series in partnership with New Hope Network, producer of industry-leading annual events that include the Natural Product Expos (West and East) and the Esca Bona thought leadership conference (which is the platform for the Insights series). 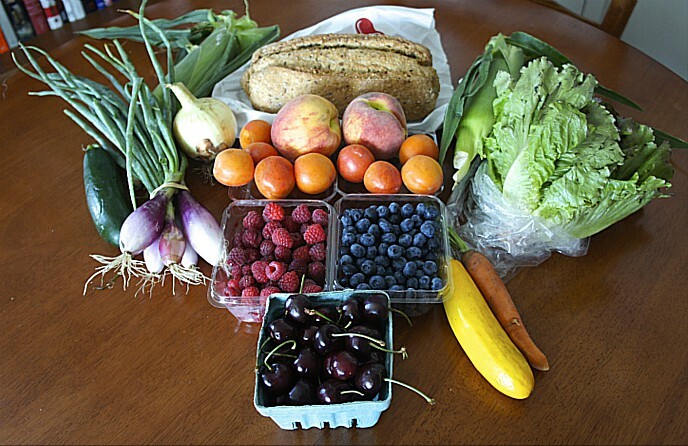 This series of articles that will unpack the dynamics driving Good Food. In coming months this series will feature portraits of the national Good Food landscape and individual industry sectors, and we will continue to back those insights up with facts provided through our partnership with SPINS, the leading provider of retail consumer insights, analytics reporting and consulting services for the natural, organic and specialty products industry. 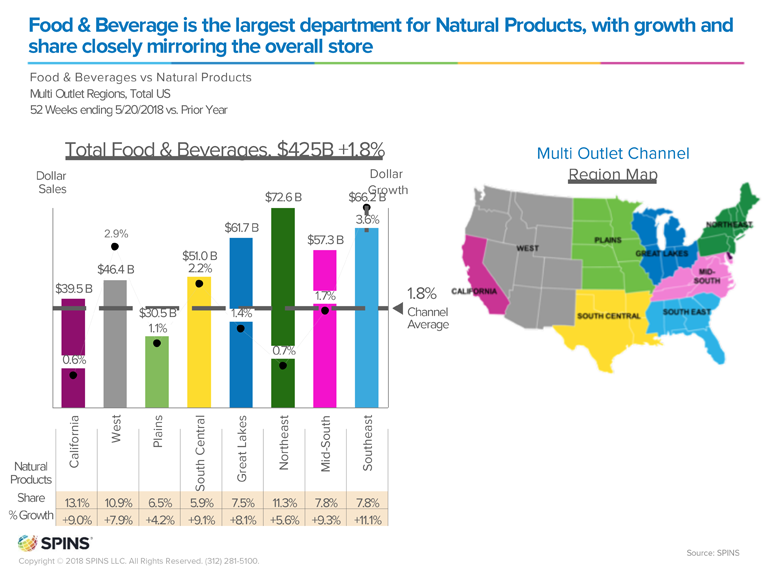 This Insights article, first published by New Hope Network on July 5, utilizes SPINS’ data to show that sales growth for natural food and beverage products is rising fast in all regions of the United States, and that growth rates are greatly exceeding those for the overall food and beverage market. 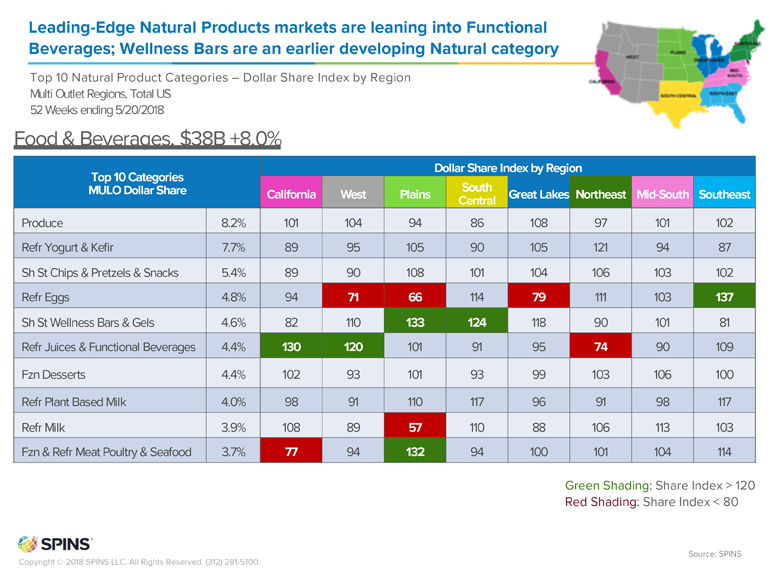 One of SPINS’ most interesting findings is that shelf-stable chips, pretzels and snacks—not a category traditionally viewed as “health food” —have the third-highest percentage of overall natural food and beverage sales with 5.4 percent of the total market, trailing only produce and refrigerated yogurt and kefir. This entry was posted in Uncategorized and tagged Esca Bona, FamilyFarmed, New Hope Network, SPINS. Bookmark the permalink.